One invaluable skill that kids learn in early childhood education is self-regulation. In the classroom, teachers use games to foster this area of child development for better classroom management and so that students get the skills they need to succeed in school as they progress through each grade. Your child’s early childhood education teacher in Pembroke Pines will be happy to discuss the activities he or she uses to teach self-regulation with you. These games are just a few of the fun ways teachers help kids learn the all-important skill of self-regulation and self-control. Many students are familiar with the game red light, green light, but changing the colors makes students adapt while practicing their color recognition. Start by assigning “go” and “stop” meanings to two different colors, and use construction paper in those colors to indicate when students should move and when they should stop. Once the children have automated their responses to those colors, change to two different colors and repeat the activity. This game forces students to concentrate and regulate how they respond to cues. Simon Says is a classic game that offers many opportunities to practice self-regulation. To succeed, students must listen, concentrate, modify their movements, and follow directions. Giving students each a chance to be Simon further increases the chances to work on self-regulation. Emotional self-regulation is also an important part of early childhood education. The Think or Say activity makes children think about how they are feeling and is especially ideal for helping kids through their tattling stages. Teachers can introduce many different scenarios and ask the class whether they should say what they are thinking or keep it to themselves. The scenarios can range from dealing with hurt feelings from a classmate to what to do if they see a classmate who is not following directions. Teachers can adapt the scenarios to make them relevant to things that are happening in the classroom. Visiting the library is a fun way to encourage your kids to love to read. When your child is working on Kindergarten reading in Pembroke Pines , going to the library to find books to supplement what he or she is learning in the classroom is a perfect way to show your child the world of reading for pleasure. Help your kindergarten-age child get the most from his or her library experience by teaching the rules in this video before you go. The library is not the place for running or loud noises. Show your child how to treat books with respect and only handle them with clean hands. The library can become a favorite family destination and a good resource for supporting Kindergarten reading once your child learns the rules. Creating a solid foundation of expectations for your child can help promote his good behavior and success in school. If your student is preparing to enter first grade in Pembroke Pines this year, then read on for advice on using positive parenting to set and enforce limits that can promote a great school year. Setting boundaries is important for teaching your child what is expected of him. However, kids may become argumentative or defensive if you make rules without offering reasons for them. To help avoid this, set limits while using words rooted in positivity and let your first grader know why each limit is needed. For example, instead of instructing your child not to play with his toys when he should be getting ready for school, tell him when he should play with them and why. When it comes to promoting the behaviors you want to see in your child, following up with appropriate consequences for both good and unwanted actions is key. 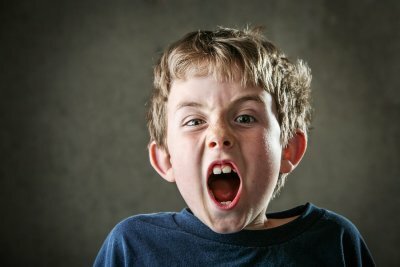 Otherwise, if positive behavior is overlooked or disruptive behavior is ignored, then your first grader may find it difficult to understand what it is that you want him to do. For example, simply thanking or praising your child when he does what you have taught him to without being told each time is an excellent way to reinforce good behaviors. In situations when your child ignores instructions or behaves disruptively, you can, for example, institute quiet time, remove toys, or take away privileges as consequences. Setting rules and deciding how you will enforce them doesn’t have to be a one-sided task. By discussing and making boundaries and consequences with your first grader, you can help him gain a better understanding of why certain behaviors are appropriate or not. Frame conversations like these in a positive light by avoiding negative words. Additionally, consider putting limits in writing with your child’s help, and then posting them in your home as a reminder for both of you. Developmental milestones refer to different things that children can typically do by a specific age. If your child is entering pre-kindergarten in Pembroke Pines this year, then you can monitor his problem-solving, thinking, and learning development by understanding and watching for the cognitive milestones for 4-year-olds. 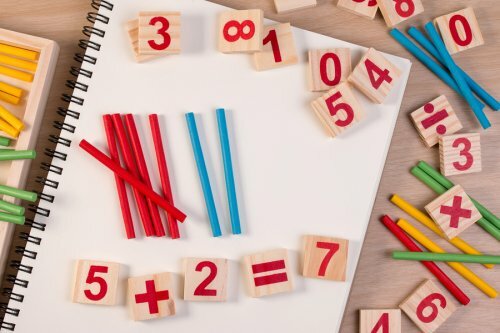 By the time they enter pre-k or reach age 4, most children grasp the concept of counting, have some understanding of time, and can recognize when things are different or alike. Also, pre-kindergarten students are often able to play card or board games, remember aspects of a book, and guess what may happen next in a story. By age 4, many children also start to use scissors, draw figures with 2 to 4 body parts, and copy capital letters. Monitoring how your pre-k student moves, learns, speaks, plays, and behaves can help you check off these cognitive milestones and keep his doctor updated about his level of development. 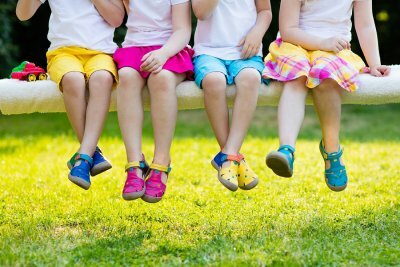 Whether through an after school program in Pembroke Pines , time spent in the backyard, or activities that you arrange for your family, allowing your child to enjoy unstructured play outdoors offers many benefits. Watch this video to learn about the importance of getting back to nature in childhood. Today, many children are spending less time outside than ever, which may have an impact on their development. For example, executive functions like critical thinking, problem-solving, and organizing are best-developed in outdoor, unstructured play environments. Also, researchers know that the brains of children are developed in a more critical way when exposed to an outdoor setting. Finally, when outside and playing with peers, children tend to utilize critical social skills and competencies that they may not in an indoor, structured play environment. A central part of early childhood education is fine and gross motor skill development. At your child’s early learning center in Pembroke Pines , practice with motor skills is likely to be incorporated into the lessons each day. You can further support these activities by working on motor skill development at home. Watch this video for some advice for improving your child’s motor skills. You don’t need to invest in a special equipment to practice motor skills. Help your child practice balance by using a 2×4 as a balance beam and work on finger and hand skills with Play-Doh that you either buy or make together. Continue making the challenges harder as your child masters different tasks, so that his or her skills continue to develop. Telling time is an important skill, but it is becoming increasingly challenging for children, who often have few opportunities outside of their early education center to practice. If your child is in preschool or Kindergarten in Pembroke Pines and you want to help him or her master time-telling skills, these activities will help you reinforce the lessons that they are getting at school. With digital clocks everywhere from your oven to your TV box and smartphone, kids may not understand why they need to learn time. If your house is one of the many homes that only has digital clocks, invest in a few analog clocks that your child can use to practice telling time at home. Use the clocks when you need to know what time it is, and talk your child through how you are reading the clock. 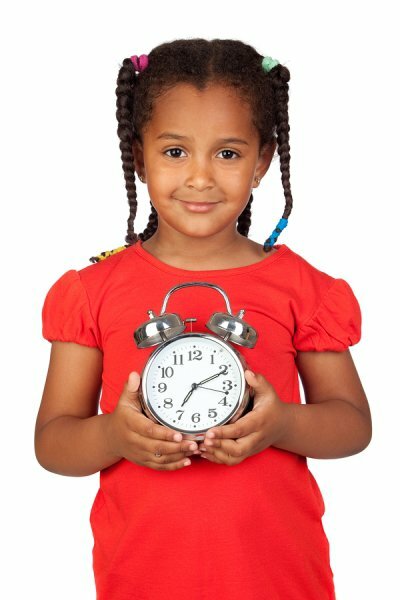 Encourage your child to look at those clocks as well, and as his or her skills in telling time grow, he or she can look at the analog clock, tell the time, and then check it against the digital clocks. Counting by fives is a helpful skill to have when it comes to telling time. If your child has his or her numbers mastered, start working on counting by fives. Keep practicing until your child can easily count to at least 60 by fives, and then start applying that kind of counting to telling time. This lets your child see how time is counted off in five-minute increments and can help him or her get a better understanding of reading the clock. Give telling time real-world applications by having your child time his or her favorite activities. For instance, you may tell him or her that you are going to leave for the park in 10 minutes, and ask your child to tell you where the hand will be on the clock. Tying time concepts to things your child is doing will incentivize him or her to keep working on time skills. In addition to the academic aspects, one of the biggest benefits of early childhood education is that it gives your child the opportunity to learn and practice social skills. When your toddler is in daycare or an early learning center in Pembroke Pines , he or she will learn skills, like empathy, in interactions with other students. Watch this video to learn more about what you can do to raise your child to be empathetic to others. Although researchers believe that some level of emotional intelligence, like empathy, is genetic, there are many ways you can foster it and teach it in your child. Talk about interactions your toddler has at his or her early learning center in which your child noticed how another child was feeling. Talk about feelings characters in books or on TV shows are having. Above all, model empathetic behavior, so that your child follows your example. 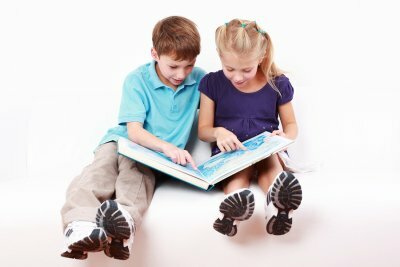 A child’s reading skills are one of the most influential predictors of future success. It’s never too soon to begin instilling early literacy skills in your young learner. In fact, simply talking to an infant often throughout the day will help him or her absorb the sounds and rhythms of language. As your young student enters first grade in Pembroke Pines, he or she will begin the transition from picture books to “easy readers.” There are many ways you can support your first grader’s reading skills at home. First graders learn by example. To encourage your young learner to remain interested in books, it’s essential to be a good role model. Let your child see you reading a wide variety of materials every day, including fiction books, nonfiction books, magazines, and newspapers. Keep reading materials readily available in the home. Even if your child cannot read most titles yet, he or she will benefit from growing up in a literate home . If your child does not express much interest in books, you can engage him or her by encouraging your child’s natural storytelling abilities. Ask your child to tell you a story and write it down while he or she is speaking. Then, read the story aloud while pointing to each word. Do not expect a first grader to compose a long story complete with plot and themes. A simple story might consist of, “I like eggs. My cat is brown,” and so on. 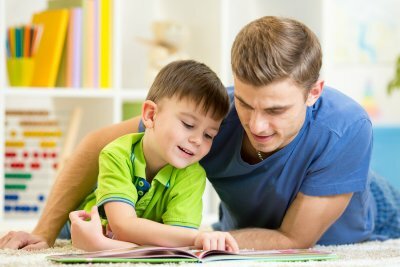 After writing down your child’s story, ask him or her to illustrate it to encourage a sense of ownership.